Date: 16.04.2018 | Dubstep, Reggae, Breaks, Drum&Bass | Tags: Sublime Bass, LW Recordings, Badmuti, Atom West, Tengu, Aliesha Lobuczek, Sample Junkie, Sekt-87, Sunsun, Cam Lasky | Download Sublime Bass Vol. 10 (2018) for free. A unique publication Sublime Bass Vol. 10 worthy and very famous producers and performers of our modernity! 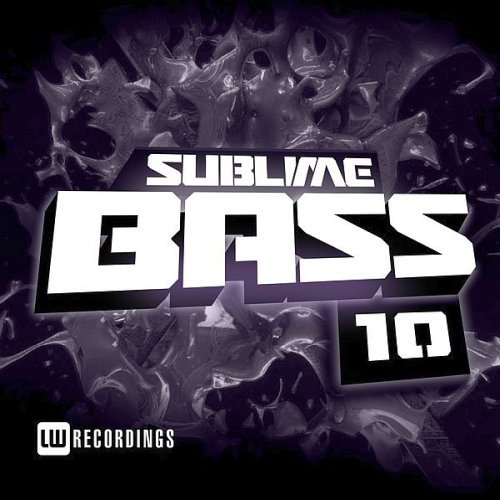 LW Recordings have thrown a serious party on their latest Sublime Bass compilation, collecting together some of the most sought after names in the bass scene for a 25 track tearout. This tenth edition of the release serious sees the likes of X5 Dubs, Killjoy, Priceless and a tonne of other highly talented producers come together for a real multigenre showcase. Our favourites would have to be the smooth yet grimey collaborative sounds of Fractals from Kareful. The Flavour comes in the form of two club orientated bass riddims: Flavour, which features the skippy vocals of London MC namesbliss & Quick Sand, which fuses the tribal percussions with heavyweight basslines ready to destroy any rave.